After being picked up from hotel lobby in Taipei, we will drive to Alishan Township, which is located in Chiayi Township of southern Taiwan. Our first stop will be Fenqihu, which is an old forestry stown. Here, we will enjoy a local specialty—a railway lunchbox featuring meat that is stewed or roasted and stir-fried vegetables. After lunch, we will explore Fenqihu Old Street and the surrounding town. Some of the buildings from its heyday are still well preserved. After this we will head to a village of the Tsou tribe. On this day we enjoy some of the natural and cultural beauty of Alishan Township that makes this one of Taiwan’s premier tourist destinations. We explore indigenous culture such as the kuba (pronounced ‘koo ba’) or men’s meeting hall. 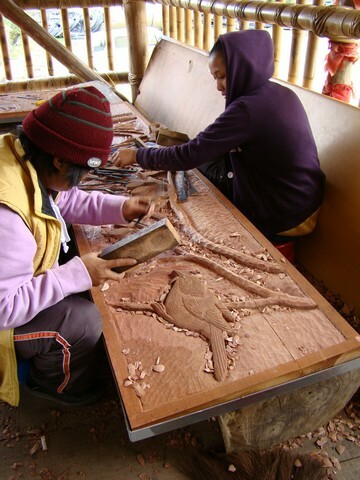 There are a number of trails to hike and artisan workshops to explore including leather engraving, bamboo and rattan weaving and wood carving. 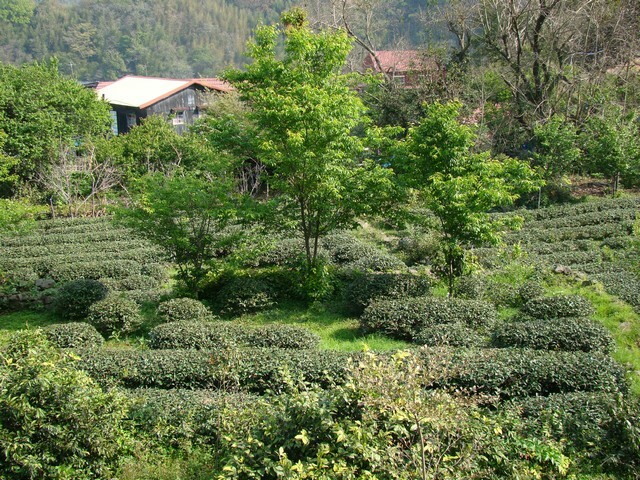 We will also visit Shizhuo’s tea growing area and sample some of the local brew in a tea processing shop. 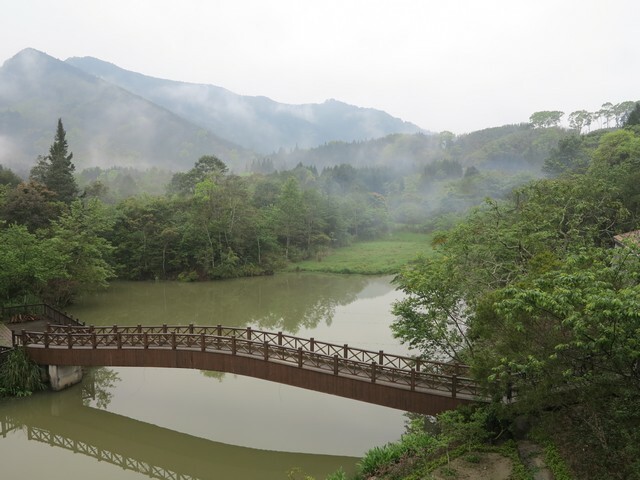 On this day, we leave Alishan and explore the central Taiwan county of Nantou, considered one of Taiwan’s most beautiful counties for its towering mountains, pristine forests, crystal clear rivers and natural hot springs. 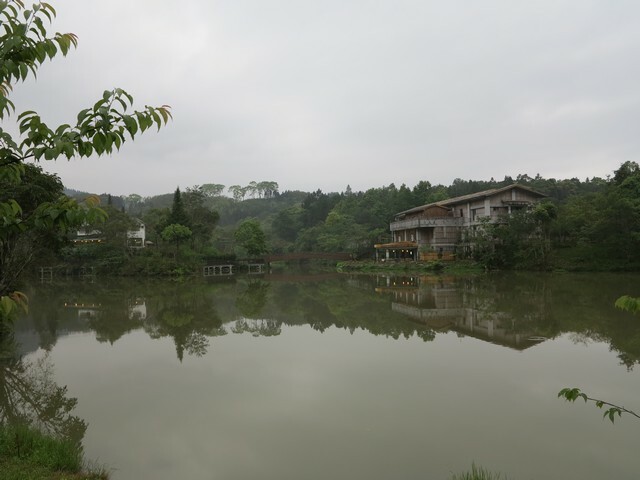 We stop at Wangxiang Village, one of Taiwan’s indigenous village tourism success stories. This Bunun village identified its strengths including a hunter’s trail, once used to reach areas deep into the mountains in search of game, indigenous cuisine and, in good weather, views of Yushan (Mt. Jade), Northeast Asia’s highest peak. In addition to being home to the Bunun tribe this area of Nantou is famous for its plums, which are turned into many products including liquor. We visit a local winery to sample some of these products and learn how they are made. We end the day with a soak in the natural hot springs waters and the mountain scenery of Dongpu Village. Explore Taiwan’s largest, natural lake by boat and then see some of the sights up close, such as the Wenwu Temple, devoted to the ancient Chinese sage Confucius and Cien Pagoda built by the late President Chiang Kai-shek in memory of his mother. We will also visit Itathao, a village of the indigenous Thao tribe. 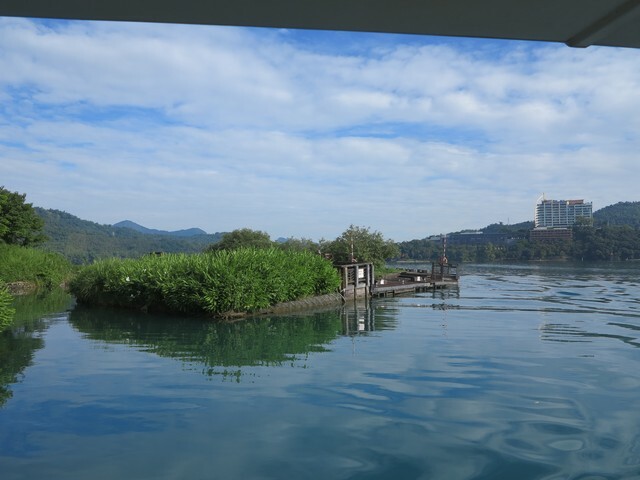 From Sun Moon Lake, we drive northward to the border between central and northern Taiwan, namely Miaoli County. We head into the mountains of Nanzhuang Village and stop at the Rainasay Workshop in Shibi Village. Here, we will learn about the traditional weaving and dyeing culture of the Atayal tribe and dye a handkerchief as a personalized souvenir. We enjoy lunch in this village’s restaurant or along the banks of Xiangtian Lake. Xiangtian Village is home to the Saisiyat tribe. Here we walk around the lake and explore part of the village. We will learn about the tribe’s Pasta’ay or Dwarf Spirit Ceremony at the ceremonial grounds and the adjacent cultural center. 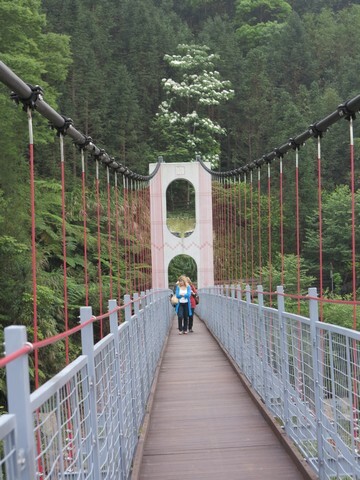 We end this trip by relaxing with a cup of coffee or tea amid a beautiful, mountain setting and crossing a suspension bridge. We then drive back to Taipei arriving at about 7:00 p.m.
INCLUDES: Meals (breakfast, lunch and dinner); Admission; Insurance, Transportation; Professional, Licensed Tour Guide; Accommodation (based on double occupancy). Please note that above rate is not applicable during public holidays, on Saturdays and on New Year’s Eve. This guesthouse is located right in the center of Laiji Village, a community of the Tsou tribe situated in the foothills of Tashan. Tashan is considered the sacred mountain of the Tsou and is where the ancestral spirits are believed to dwell. 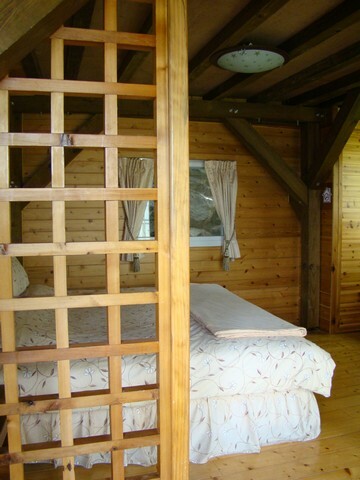 The rooms are simply decorated, but comfortable. The grounds include a traditional Tsou watchtower, Tsou cultural exhibition room, and coffee shop. 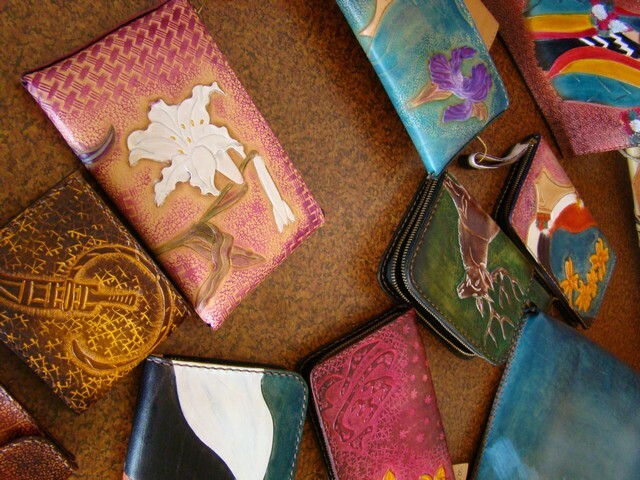 The owners are local residents who are very familiar with the community and its history and attractions. This guesthouse features large picture windows for enjoying the surrounding mountain and tea plantation views. From this guesthouse it is easy to access the Eryanping Trail which takes you through bamboo forest and to a viewpoint famous for viewing the clouds and mist that roll into the Alishan area most afternoons. Or, relax in the spacious garden. This hot springs resort is located on the northern side of Yushan, also known as Mt. Jade. Yushan is the highest peak in Northeast Asia, reaching 3,952 meters in height. Thus, it should be no surprise that this hotel offers beautiful mountain views. Guests can enjoy the many facilities such as pools filled with natural hot springs water, coffee shop and gym. 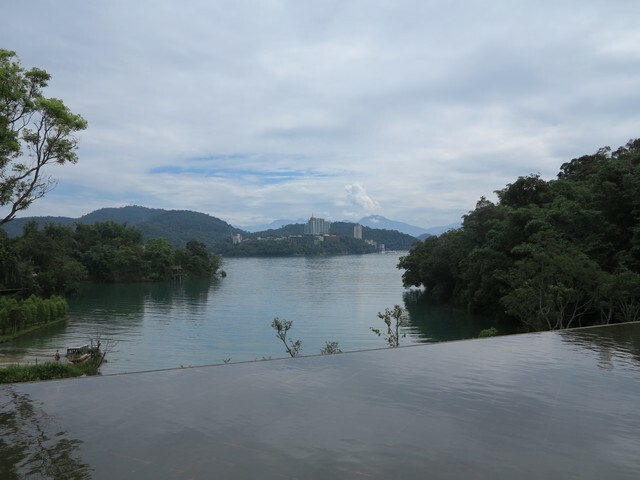 The Fleur de Chine Hotel is situated along the northern peninsula of Sun Moon Lake. This is one of the newest and most luxurious resorts in this area. This hotel has many facilities to explore including hot springs pool, swimming pool, spa, gym, rock climbing wall, restaurants and lounges. 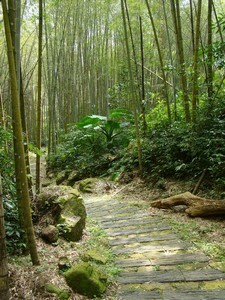 The Alishan National Scenic Area covers four townships in Chiayi County, located in southern Taiwan. It is famous for its towering mountains, pristine forests, cherry blossoms, tea plantations, coffee plantations, and indigenous Tsou culture. 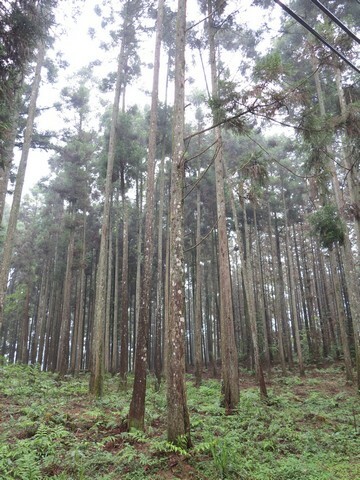 Although this scenic area is rich in natural forest, Alishan was once home to a flourishing forestry industry. Traces of that can be seen in the small town of Fenqihu and in the narrow gauge railway that zigzags up the mountain. The indigenous Tsou tribe is concentrated in eight communities—four in the northern part of this scenic area and four in the southern part. 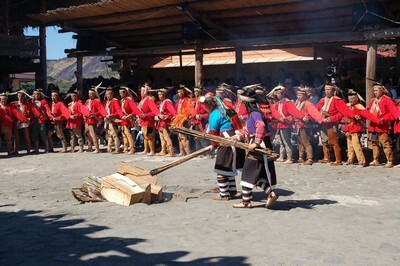 The Tsou have been working to protect various aspects of their culture, such as the Mayasvi or Warring Ceremony. This traditionally took place several times during the year to mark the renovation of a kuba (men’s meeting hall), the construction of a house or the start of a battle. Today, it is held on average once a year. Tsou communities also offer the opportunity to explore this tribe’s interdependent relationship with nature, such as Bird Worship Trail, which describes the use of flight patterns and calls of a certain species of bird to determine if it is a good time to set out on a hunt. Although the Tsou did not develop their cultural industries as early as some of Taiwan’s other tribes, there are still a number of workshops producing interesting works based on cultural themes such as wood carvings, rattan weaving and leather engraving. 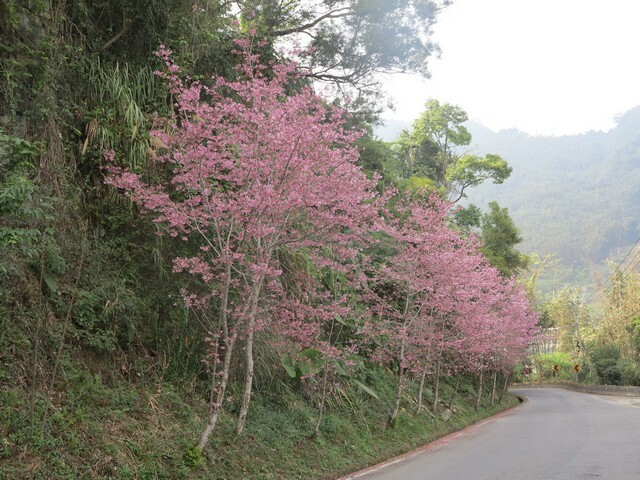 Xinyi Township is located in the mountainous part of Nantou County. In good weather, it is possible to see to the peak of Yushan (also known as Mt. Jade), Northeast Asia’s tallest peak. Many hikers start their journey to the summit of Yushan in Xinyi Township, as there is a large concentration of certified ecotour guides in this township, most from the Bunun tribe. In addition to the hike to Yushan, there are a number of trails in this township. The Dongpu hot springs are naturally at a temperature of about 49 degrees Celsius and are carbonate springs that are colorless and odorless. This is a major farming area. One of its main agricultural products is plums. These are turned into a number of products including wine, which can be sampled and bought at a winery established by the township’s farmers’ association. 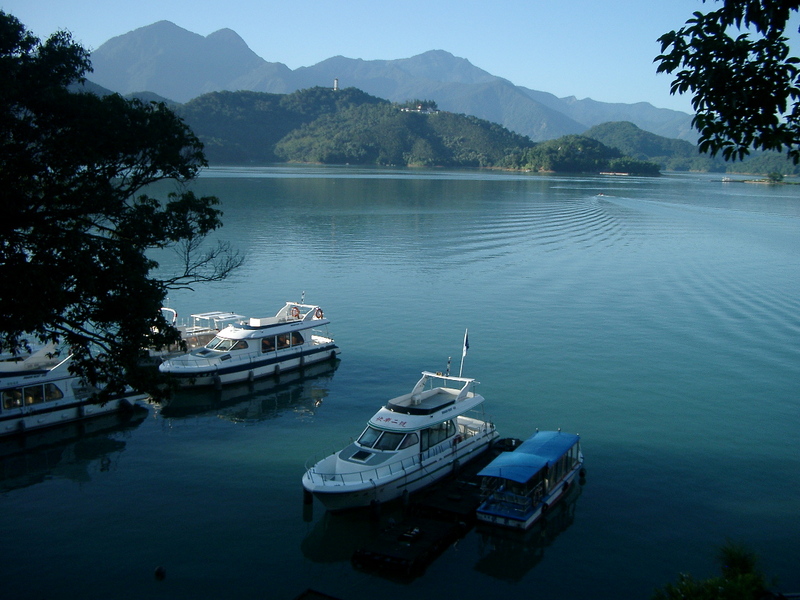 Sun Moon Lake is Taiwan’s largest freshwater lake, located at an elevation of 748 meters above sea level. The lake is divided into two sections by Lalu Island. One section is circular, somewhat shaped like the sun, while the other is more crescent shaped, similar to the moon. Thus, this is how the lake got its name. Lalu Island is considered the dwelling place of the ancestors and the sacred land of the Thao tribe. Thao legend tells that the tribe originally lived in Alishan but hunters following a mysterious white deer found their way to the banks of this lake and found it to be a good place to live. This is a very diverse scenic area with more than a dozen hiking trails, cycling paths and boat tours. In addition to a Thao village, there are several temples to explore including those devoted to Confucius and to two monks from the Tang Dynasty. 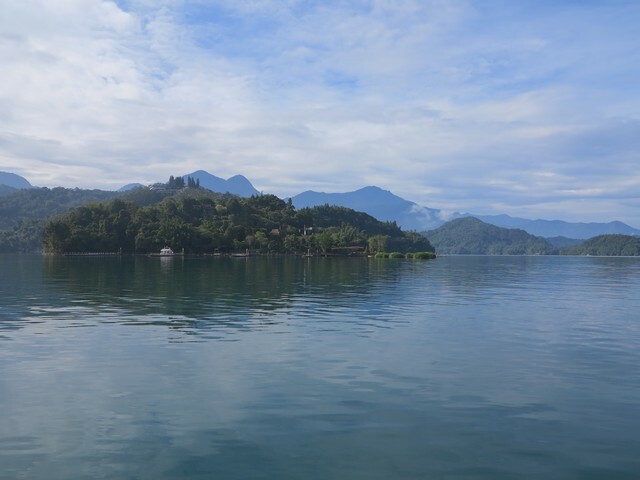 In addition, at the top of the Cien Pagoda are panoramic views of this breathtaking lake and its surrounding mountains. Nanzhuang Township in Miaoli County is rich in cultural diversity. The indigenous Atayal and Saisiyat tribes inhabit this township’s mountainous areas along with a significant Hakka population. Hakka food and handicrafts can be enjoyed along Nanzhuang Old Street. In Shibi Village is the Raisinay Workshop. 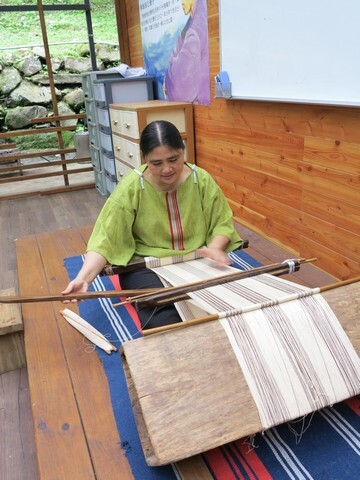 This workshop specializes in weaving and dyeing. 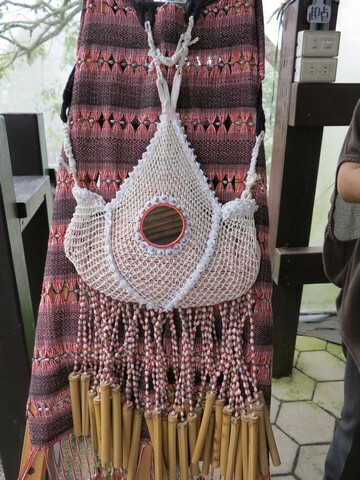 Traditionally, the Atayal grew ramie, a type of Asian hemp, and processed the fibers to weave into cloth. 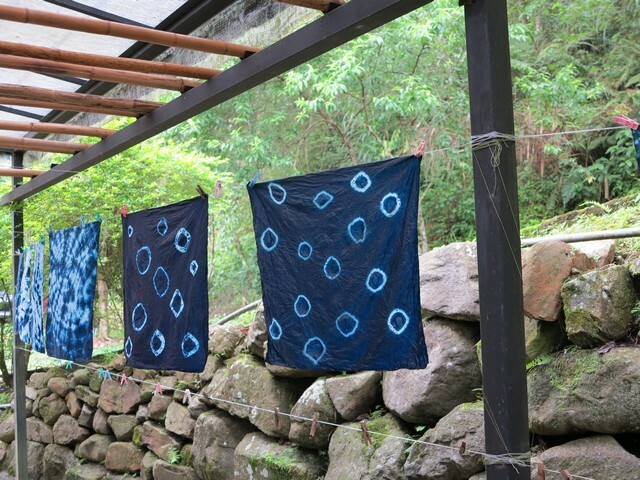 They dyed this cloth using several plants to create different colors. 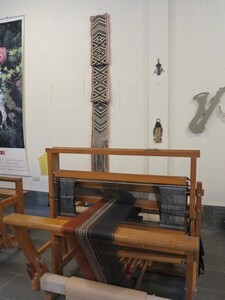 Visitors can view a weaving demonstration and can dye a handkerchief to take home with them. Also in Nanzhuang Township is Xiangtian Lake. This village is named for the lake, next to which the Pasta’ay (Dwarf Spirit Ceremony) takes place every two years. According to tribal legend, there were once a people who were short in stature with dark skin referred to as ta’ay. They taught the Saisiyat how to grow crops and passed on other valuable knowledge. However, the men were very aggressive in their dealings with Saisiyat women, which angered the Saisiyat warriors. 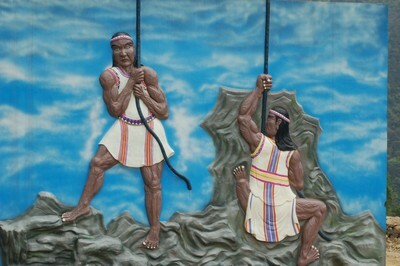 The Saisiyat warriors took revenge by killing all but two of the ta’ay. However, their crops began to fail and they met with other misfortune. The surviving ta’ay taught them the songs to appease the ta’ay spirits, which are performed every two years. Next to the ceremonial grounds is a cultural center with displays in Chinese and English on various aspects of Saisiyat culture. A nature trail leads around the lake and through this Saisiyat village. 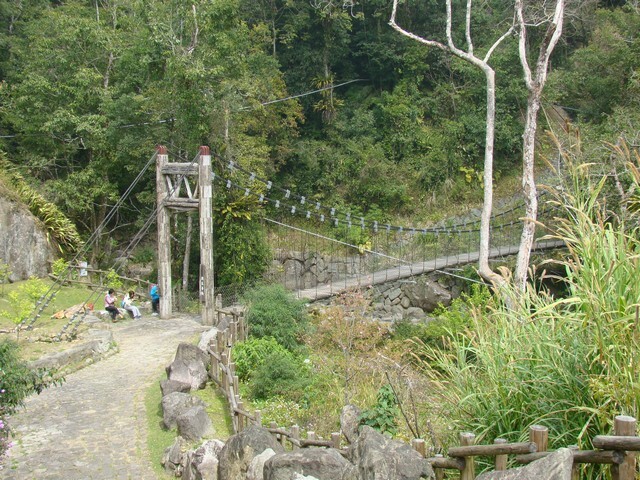 In the past, suspension bridges were important conduits between villages in remote areas. 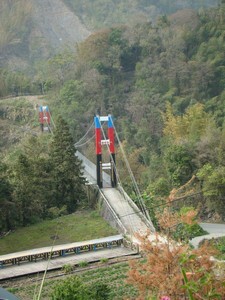 Many of these suspension bridges have been rebuilt, such as the Donghe Suspension Bridge. From here, there are excellent views of the surrounding mountains and river below. 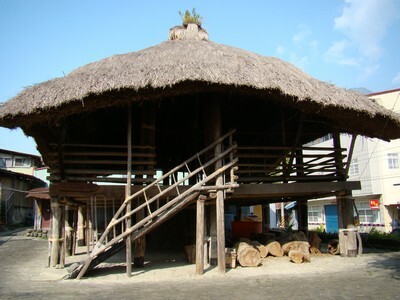 Near the Donghe Suspension Bridge are examples of traditional Saisiyat structures, such as a granary, and a visitor center created from a building left over from the Japanese occupation era (1895-1945). The Atayal has the largest distribution among Taiwan’s indigenous tribes, stretching from the north to the center and east. This tribe traditionally practiced facial tattooing, which symbolized entry into adulthood and eligibility for marriage. The Atayal believed that after death a person crosses a rainbow bridge to join the ancestral spirits. These tattoos allowed the Atayal to be recognized as members of the tribe and to secure passage over this bridge. The Bunun tribe’s distribution includes Nantou, Hualien and Taitung counties, as well as Kaohsiung City. The men of this tribe are considered excellent hunters, even today. Bunun boys learn how to hunt early on and hone their skills by shooting targets as small as the ear of a deer. The Bunun tribe was the only tribe to develop a calendar using icons to mark major farming and hunting activities, as well as important ceremonies. This tribe is mainly distributed in the mountains of Miaoli and Hsinchu counties. The Pasta’ay or Dwarf Spirit Ceremony is held along the banks of Xiangtian Lake every two years to appease the spirits of a legendary tribe. The members of this tribe are said to have taught the Saisiyat how to farm the land and other useful skills, but that the males of that tribe constantly harassed the Saisiyat women, leading a Saisyiat warrior to kill all but two of the members of the tribe in revenge. The survivors taught the Saisiyat the songs to appease the spirits of those who lost their lives so that all would continue to go well with the Saisiyat people. The tribal legend of the Thao says that this tribe once lived on Alishan. One day some hunters chased a white deer and found themselves on the banks of this lake, and realized that it was a good place to live. They fished in the waters using nets, spears or and traps made from rattan or bamboo.Every family of the Thao has an ancestral spirit basket, which is usually hung on the wall of their home. Into it are placed the clothes and jewelry worn by the deceased members of their family. During the New Year worship of ancestral spirits, these baskets are brought to the ceremonial grounds. Wine is offered to the ancestral spirits and traditional songs and dances are performed including pestle music, which involves seven or eight pestles that are struck against rocks placed on the ground. The Tsou tribe is mostly concentrated in Alishan Township of Chiayi County. The two communities of Dabang and Tefuye each have a kuba or men’s meeting hall, where the males of the tribe gathered to decide important issues and to train the young warriors in fighting and hunting, as well as the legends of the tribe. The Warring Ceremony (Mayasvi) is held each year at the kuba, either in Dabang or Tefuye. This ceremony originally took place several times a year, to mark an important battle or a major event such as the completion of a house or the renovation and repair of a kuba.